Do you have a friend or relative who might feel more comfortable visiting you if your home were more accessible? We do. And we know that there is much to be said for a comfortable home that makes sense for you, your family and friends. In fact, the topic of all inclusive homes is “hot” these days. It seems “Boomers” are spearheading a trend toward staying in a “FOR ever” home - one intended for today, and for years to come (“aging in place”). How about you? Would it make sense to have the things you need in daily life, while maintaining your independence and quality of life in your own home? Life-course transitions mean change and many decisions to make. For those who are 50 and older, planning to add universal design elements to feather a nest can not only be wise, but can make aging-in-place a masterfully-designed adventure. 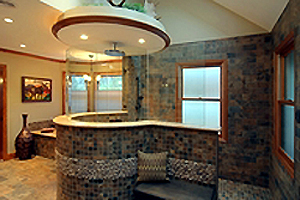 You can plan for an AT LAST Home where accessible, universal design allows function and aesthetics to coexist. We like to refer to this as AGING IN A P A L A C E© as opposed to "aging in place". If you are ready, willing, and able to set a goal for "sustainable excellence" consider a self-guided tour. 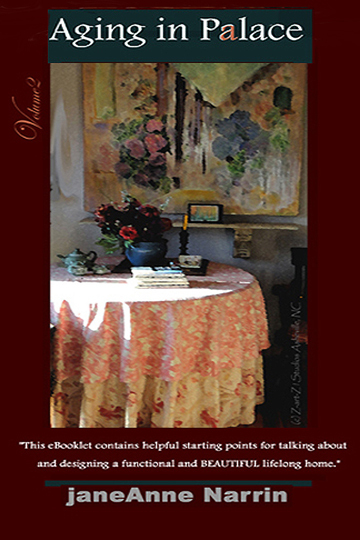 Read up on what it takes to start a conversation about and to design a functional and BEAUTIFUL lifelong home- a "Feathered-Nest". Keep it budget-friendly. Figuring out cost-effective ways to plan, design, and create a beautiful and functional dwelling place designed for a lifetime is important. Would you rather prepare your home for the long run and stay in your own home rather than opt for a less attractive alternative? Yes! say more and more Post 50 adults who are happy to lead the way to "aging-in-place" and loving the idea of living in a For "Ever" home. Would YOU choose to stay in your own home ? Yes! say more and more Post-50-People who are ready, willing and able to lead the way to "aging-in-place" and loving the idea of living in a For "Ever" home as the years go by. Is a lifelong home an attractive choice for you even if it means research and forward planning? Lift the human spirit. Bring together function and beauty in your "castle" and create what works for you , your family and friends in an all-inclusive environment designed for everybody- regardless of age or physical ability. Putting yourself on a kind track to life-course transitions means change. 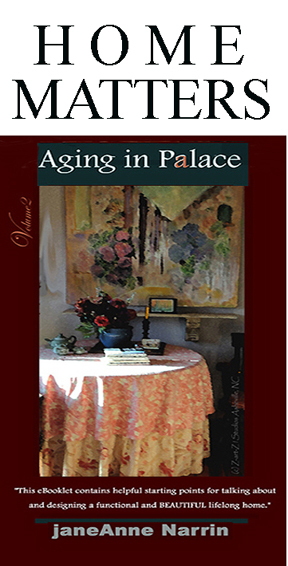 One of the most important decisions to make is where you choose to live topics such as: Aging-in-Palace©, Aging-in-Place, Feathered Nests and all-inclusive Universal Design. Planning for AT LAST Homes where accessible, universal design allows function and aesthetics to coexist makes sense. Universal design originated and was developed by a wheelchair-bound architect who thought that homes should be designed for everyone, regardless of physical ability or age. Perhaps that is what prompts the trend toward universal design where the all-inclusive concept flows throughout the living space as a whole. Current predictions from the home-building industry- aging will be the second-biggest influence on home design in the next few years [source:NAHB]. " We no longer are in a 'youth market'- but in one driven by powerful older adult consumers who can and do influence the how and where they choose to live." Note: AARP promotes universal design. Aging-in-Palace© where function and aesthetics coexist. Which of the 4 easy beginning steps will you put on your agenda? 4) Electrical, Lighting, Safety and Security- Light switches by each entrance to halls and rooms, light switches, thermostats and other environmental controls placed in accessible locations no higher than 48 inches from floor.- Clear access space of 30 inches by 48 inches in front of switches and controls, rocker or touch light switches, high-tech security/intercom system that can be monitored, with the heating, air conditioning and lighting, from any TV in the house, pre-programmed thermostats. 6) Heating, Ventilation and Air Conditioning -(HVAC) Baby Boomers and Family members appreciate an HVAC system that is designed so that filters are easily accessible. We look for energy efficient HVAC units, and we still like windows that can be opened for cross ventilation, and plenty of fresh air! 10) Other Ideas - A separate apartment for rental income or future caregiver.. . A Flex space or room that can used as a nursery or playroom when the children are young and as a home office later; if combined with a full bath, this room could also be used for “aging-in-place”…. 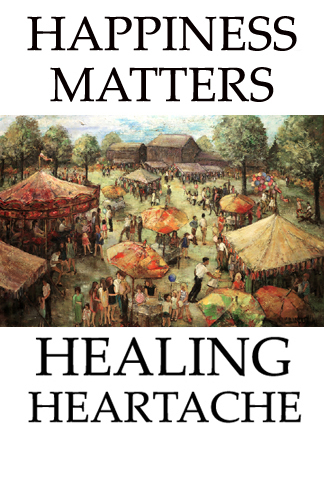 Lift the human spirit when you bring together function and beauty in your "castle" and create the experience of AGING-IN-PALACE© that works for everybody- regardless of age or physical ability. RESOURCES: How aging-in-Palace, CULTURAL CREATIVES and "BOOMER CONSUMERS" who strongly impact MARKET TRENDS. The demand by the Post-50-People for age-friendly products -- interior and exterior design universal design elements that work for EVERYBODY- regardless of age or physical ability -- can change outmoded aging stereotypes.